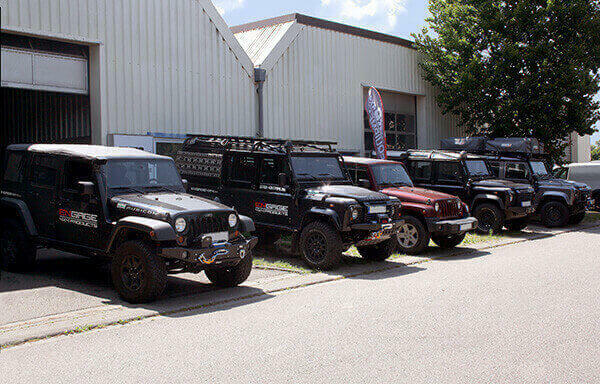 The company 4WARD4X4 wheel service and equipment, with the company’s own brand ENGAGE4X4 is a certified Land Rover specialist based in Bühl/Baden in southwest Germany. 4WARD4X4 is an innovative and dynamic company which is managed by the company’s founders Stephan Dennig (Sales Manager) and Eugien Piewen (graduate engineer vehicle technology). Our goal is the safety and quality improvement of Land Rover vehicles, the implementation of individual customer needs and increasing the long-term durability of vehicles, even under extreme driving conditions. Our philosophy will not change! Our commitment to developing products with high quality with a great result for our customers. Quality, innovation, high standards and state of the art!